A lot has been revealed from the v6.21 patch for Fortnite thanks to dataminers taking no time at all to comb through every inch of the files. We’ve already seen a whole host of new skins and even a new island that will possibly be added to the game, but we’ve also had our first look at the Week 6 Loading Screen for Fortnite Season 6. A Fortnitemares-centric Loading Screen, you can check it out down below. Rather than asking you to randomly check every tree in the game, this hint is also just a hint at where we can find the Battle Star. Judging from the image, the Battle Star is located on the arm of the map’s infamous Transformer dinosaur “thing”, which you can find northeast of Retail Row if my memory serves me correctly — the map is always changing so it’s hard to keep up. 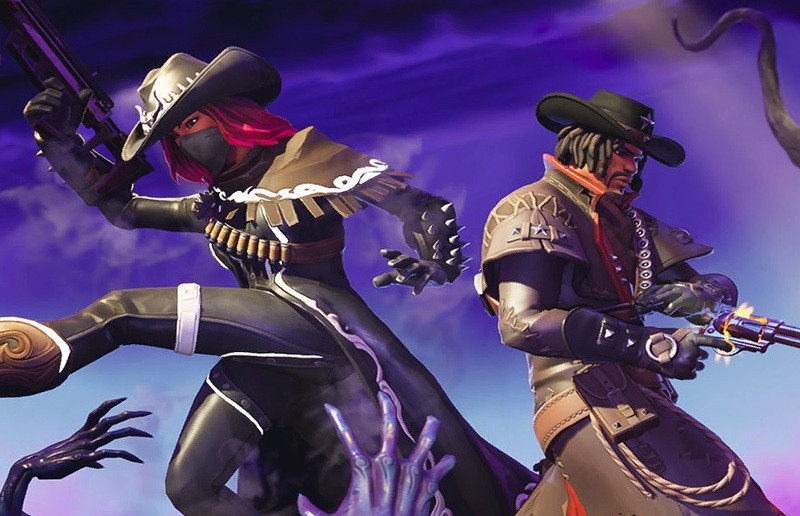 This is the last week before most players can feasibly unlock the special Hunting Party skin, which asks you to completely finish weekly challenges seven times.